Born in 1906 in Pueblo Colorado, Fred Walter and his parents left in their 1919 touring car in search of employment when he was 20 years old. Traveling west, they worked their way through New Mexico and Arizona, staying in one location until the jobs dried up, then uprooting again moving further west. Fred and his father helped construct the Coolidge Dam, worked 1200 feet below ground in a copper mine, as well as helping build roads across Arizona. They finally landed in southern California where they heard about work in San Jose, so they headed north. On the way to San Jose, the men found work building Highway 101 from Ventura County up to Carpentaria. Again when the job ended, they were back on the road in search of San Jose lured by its plentiful cannery jobs. San Jose turned out to be the place where they could settle down. Work was plentiful in the canneries and the cannery housing provided refuge and companionship with others of similar circumstance. 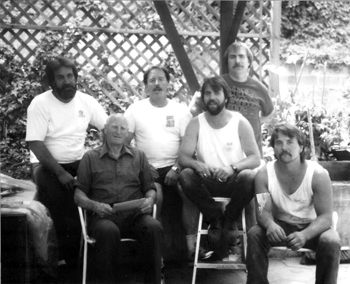 These associations provided them with side jobs that worked out to be very advantageous, leading the men to a job in a sawmill on Longridge Road way up in the Santa Cruz Mountains. The job at Grandeman’s Mill lasted through the summer of 1928 when they heard of a job at Charlie Kennedy’s place on Loma Prieta Avenue. (The orchards are still standing today, and his son, Charlie, still lives on the property.) Life was good at the Kennedy Ranch, Charlie was very successful having invested in the stock market. Fred was very comfortable there supervising the orchards and gardens, as well as maintaining the property for $100 per month and a cottage. He had met a young lady, Maude Simpson, at the cannery in San Jose and married her in the spring. Everything changed abruptly in 1929 when the stock market crash led to the great depression. Fred was again in search of employment. In 1933, Fred landed a job installing the pipe culverts for Highway 17 from Inspiration Point (just south of the summit) down to Scotts Valley. 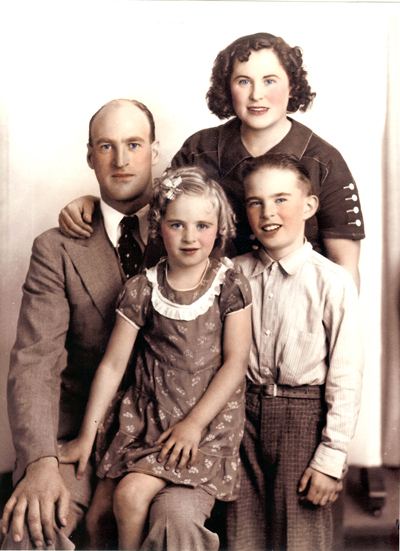 He moved the family down the street to a rented cottage for $25 per month and two years later, when Highway 17 was completed; they opted to go back to Kennedy’s instead of continuing on with the crew. The orchards still needed tending and Charles Kennedy was recovering from his financial problems. Shipped throughout the world, he specialized in a rare silver prune that looked like an apricot. 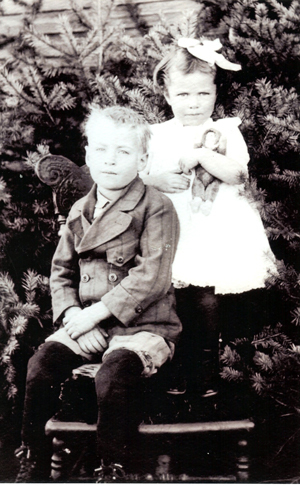 During their stay at the Kennedy Ranch, Fred’s family grew with the addition of two children, Fred was born in 1929 and Elaine followed in 1931. The children attended the Burrell School and Maude worked at the K. Woody Pipe Company next to the school (the property to the right of the Burrell School). Manzanita was brought up from Watsonville and cut into forms to be shipped to the East Coast where they were drilled and shaped into smoking pipes.In 1942, Fred was wooed by another successful rancher on the summit, Charles Schmitt. He was offered the foreman position supervising a 434 acre ranch for $135 per month, and his family settled into the ranch-hand’s house, to the right after passing through the white gates that marked the entrance to the ranch (on Sunset Drive, the field on the right past the gates). Prune orchards covered the landscape, Schmitt planted pears on the lower end of the property, and the fruit was trucked down to a cannery in Santa Clara. The kids moved from the Burrell School to the Summit School (now a house on Old Santa Cruz Highway). World War II was being played out in the European theatre and times were tough back in the states with food rationing. Fred was able to provide a steady supply of venison by hunting the local black-tail deer that roamed the mountain. The mountain was sparsely populated at the time, so hunting was a common pastime. Fear of a Japanese invasion on the mainland led to the building of Summit Road to provide better access to the coast and the railroad tunnels were bombed to prevent a perceived hiding place for the Japanese soldiers. Another baby was born to Fred and Maude, Ronald (Ron) was born in 1943. That same year, tragedy struck their oldest, Fred, when he died from an undiagnosed heart disease while in surgery to remove his tonsils. In 1956, Schmitt sold his property to the Bullush Brothers for the purpose of building a housing development. The development was amply named, “Villa del Monte” (mountain home). Fred’s duties shifted to building roads and houses. 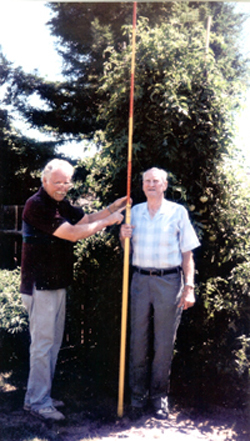 The Bellush brothers wanted $50 per month for rental on Fred’s home, so in 1958, Fred moved his family to Redwood Estates. Working for the Bellush brothers was unbearable. In Fred’s own words, “they were slave drivers”. They started replacing the beautiful, bountiful orchards with homes, so Fred applied for a job as a maintenance man for the Town of Los Gatos where he worked for 15 years, until his retirement in 1973. 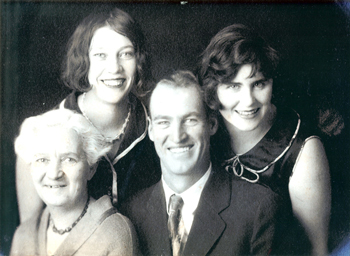 Maude passed away in 1975, two years later Fred married her sister Ethel, who passed away in 1998. Fred has been blessed with five grandsons from his daughter, Elaine, of which one, Jeff, lives on the property, nine great-grandchildren, and ten great-great-grandchildren. 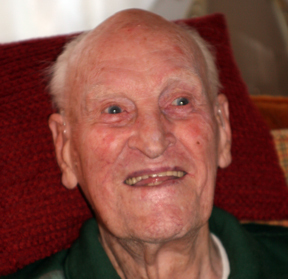 Fred has had a long, rich life filled with family and friends. He has watched the mountain grow and change in many ways and has adapted and thrived in a changing world. He limits his intake of alcohol. He chews his food real well and if he can’t chew it well, he spits it out. Plant them into one gallon pots. Dig a hole 6’ deep and 3’ wide. Make a cylinder screen with wire mesh and place over the plant. As it grows, small sticks can be place horizontally to hold the plant in place. Spray the flowers with blossom set so they don’t fall off. Water deeply every three or four days, unless it is real hot, then water more frequently.